Last week I had a sewing date with some lovely ladies; Jo, Emily and Susy. 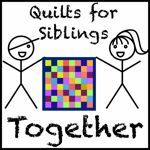 We had agreed on a FQ’s worth of scraps, a handmade gift and a bought gift for £5 or less. The contents of my gift were delicious. 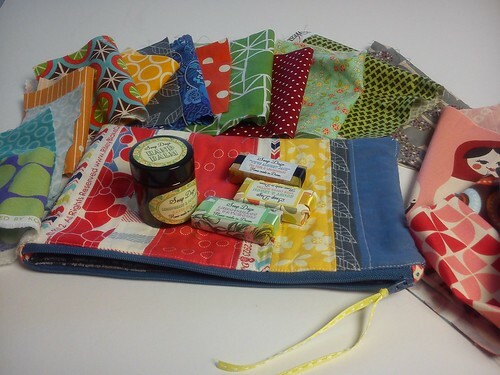 The scraps are gorgeous replicating Jo’s great taste in fabric, the handbalm and soaps smell wonderful (and are made by the wonderful Soapdaze). 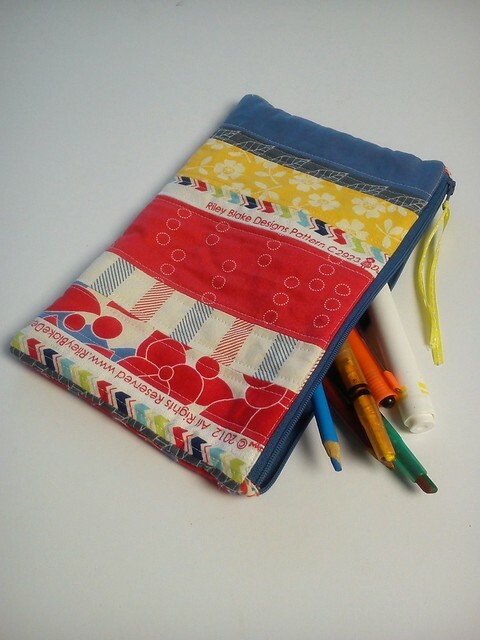 Approximately a year ago Jo came round and I gave her a lesson in making zip pouches (possibly in exchange for a bottle of wine) and so I was chuffed to bits to see that she learnt something from me, made more pouches AND I get to keep one. 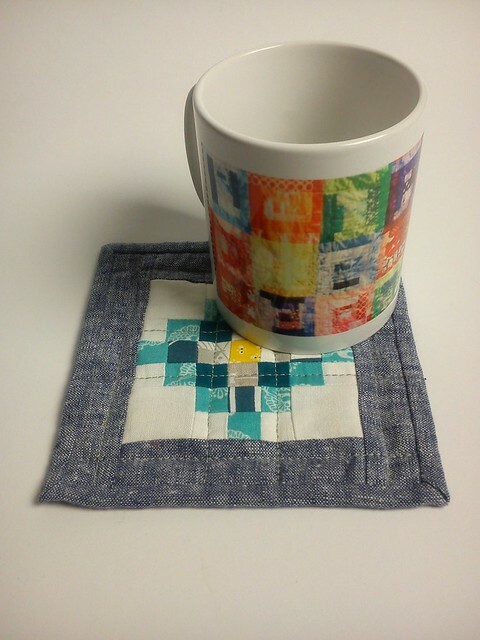 Emily had also been sneaking around my blog and had a photo of a quilt I made put on a mug, it is pretty special. There was also some delicious macaroons and fine biscuits included which may or may not already have been consumed. Believe it or not we did actually do some sewing too; paper piecing Christmas blocks which I won’t show you again until I’ve done something with them! Fab pressies for a fab day! Love that you didn’t actually recognise your own quilt on the mug in IG though 😉 Happy birthday! Wow what a great swap! Oh, that all sounds lovely! And I love your new mug, very special.